The fifth is the first one-shotter on the Composite Course. 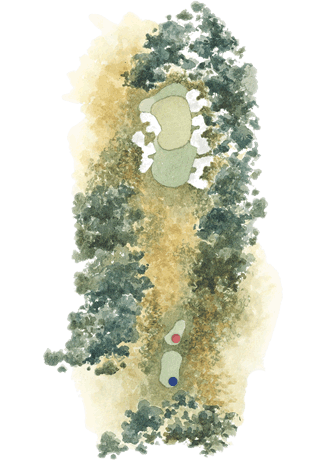 It is one of the best par threes in Melbourne, which makes it one of the best in the world. The hole plays down from the tee, across a valley and up to a green sitting on the opposite hill.